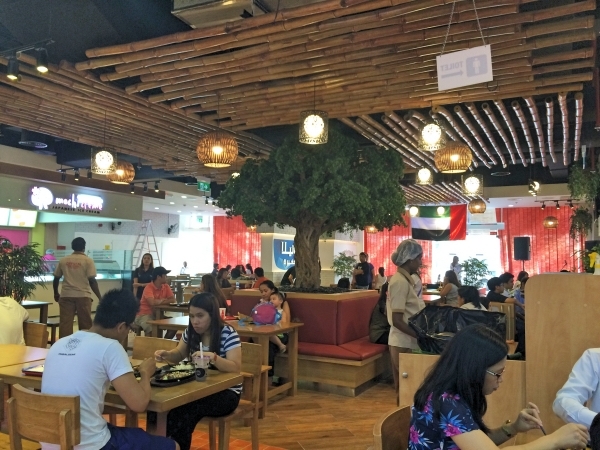 I was keen on visiting Little Manila when it opened last September 14 but I still remember the long beeline to Jollibee, Max’s and Barrio Fiesta when they first opened in Dubai. I don’t think I’m willing to wait for hours just for food. Then, the negative reviews and comments started pouring in. 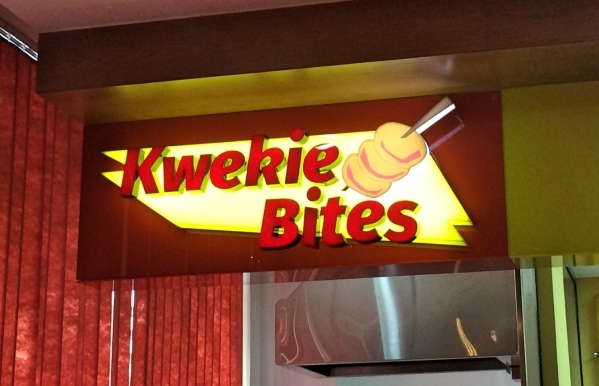 Bad service, long queue to order and again you need to wait for an hour or so for your food, tasteless dishes, overcooked and undercooked chicken and the list goes on. I was disheartened. 🙁 Why oh why! I am a little excited to try this concept but with only bad reviews available, I am really disappointed and had second thoughts if it’s worth the try. On Tuesday, my company gave us an extra Eid holiday and I thought it’s the perfect time to try Little Manila. I have to check it personally before passing judgement. 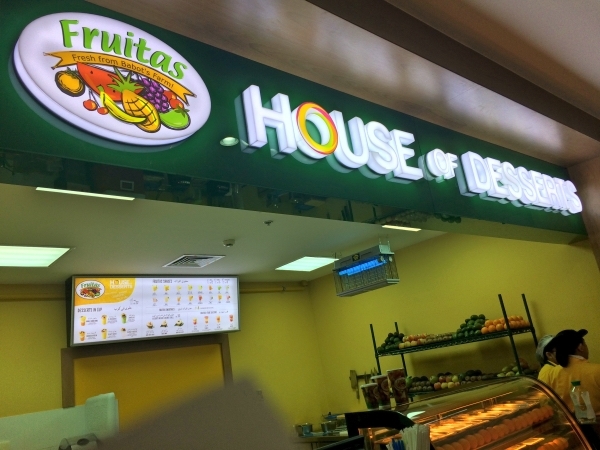 To give you an idea, Little Manila is like a mini-food court that houses several Filipino brands. Since Eid holidays won’t start until Wednesday, finding someone to accompany me was quite a challenge. I don’t want to eat alone since I wanted to order as much food as possible, for blogging purpose only 😂. Good thing my sister’s work finished early so I picked her up to join me. 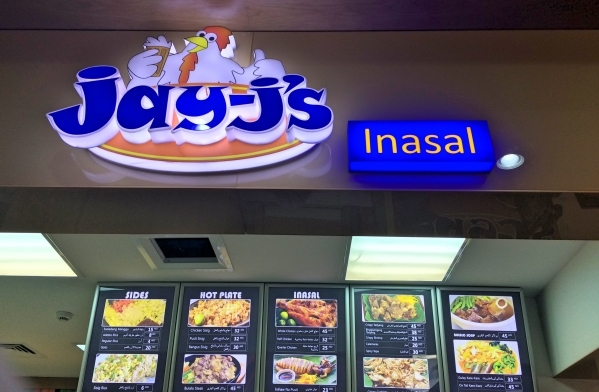 Jholen immediately queued for Zagu and I went straight to Jay-J’s Inasal stall. 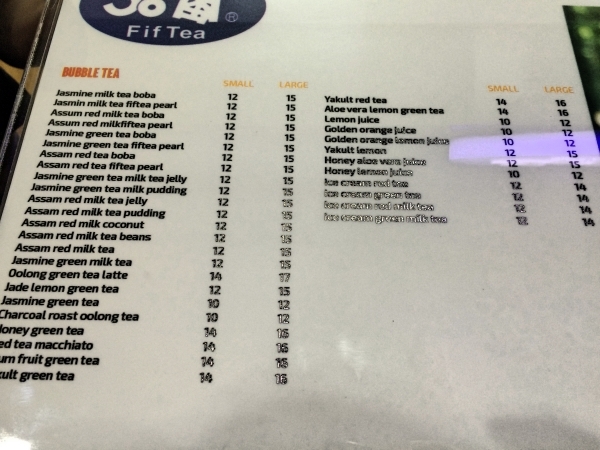 After ordering from Jay-J’s, I then grabbed something from Binalot. One major complaint I’ve heard about Little Manila is the long wait. There’s a beeline just to enter the restaurant and then another long queue to order and again you will need to wait to get your food. I know how disappointing it is to wait for more than 1 hour and then to receive your food below expectation. The experience becomes 10 times more upsetting. Fortunately, since it’s a working day and we arrived around 3:30 pm, we didn’t experience all this. 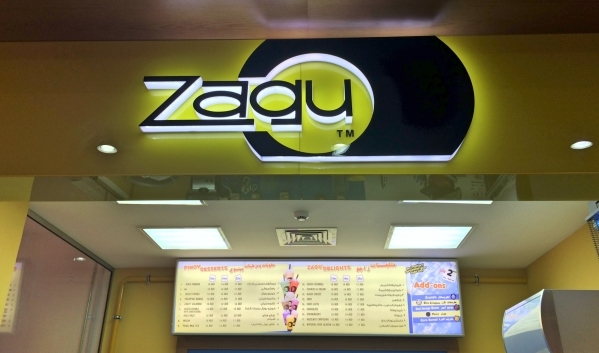 Our Binalot order was ready in like 5 minutes, the Jay-J order took around 10 minutes and the longest one was Zagu at 20 minutes which we didn’t mind at all as we thought Zagu was our dessert anyways. Ok, now let’s go to the food. 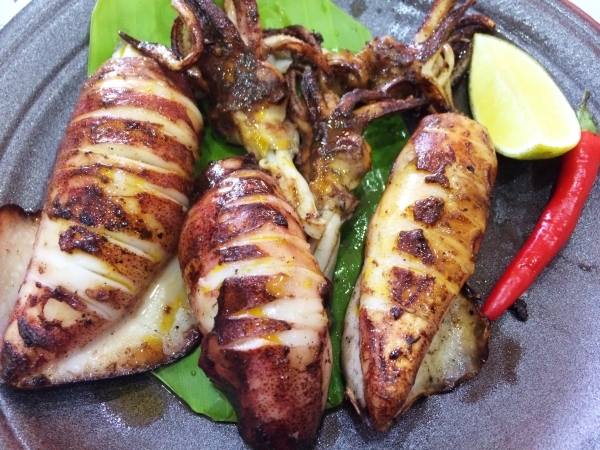 I wanted to try the crispy crablets but the lady in Jay-J’s said it’s not available so I ordered the grilled squid instead. This is 23 dhs. It’s good. One of them has even that white thing inside (is it the egg?) and really enjoyed it. Although I think the egg was a little undercooked. 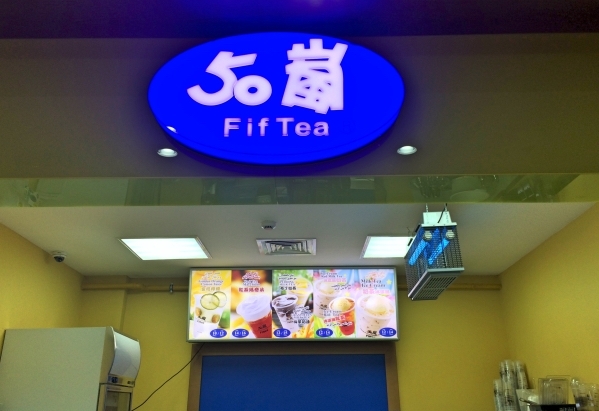 Nonetheless, I will order this next time for sure. 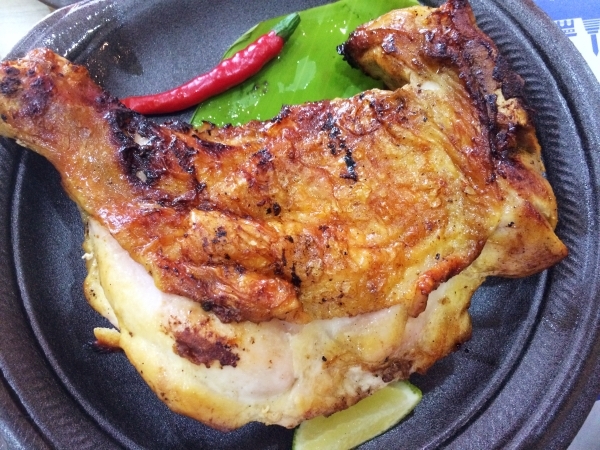 Of course we had to try the Chicken Inasal. The quarter chicken costs 25 dhs. The skin was crispy and the meat was tender and juicy. Spot on. But again it needs to be grilled a little more as I can see that the part near the bone still had a slight pink color (but it’s not raw). This might be an issue for some but I don’t mind. Since my orders didn’t come with rice, I requested for sisig rice to go with it. 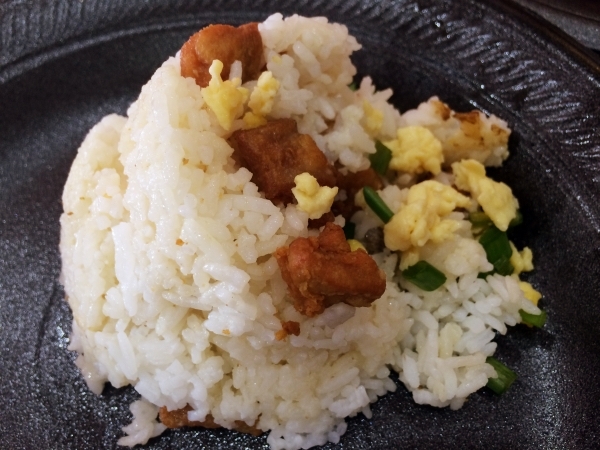 Well, it look and taste like just a regular fried rice to me. This is 6 dhs. 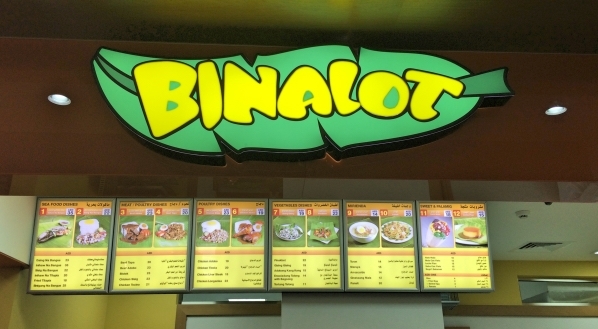 Then the Binalot. 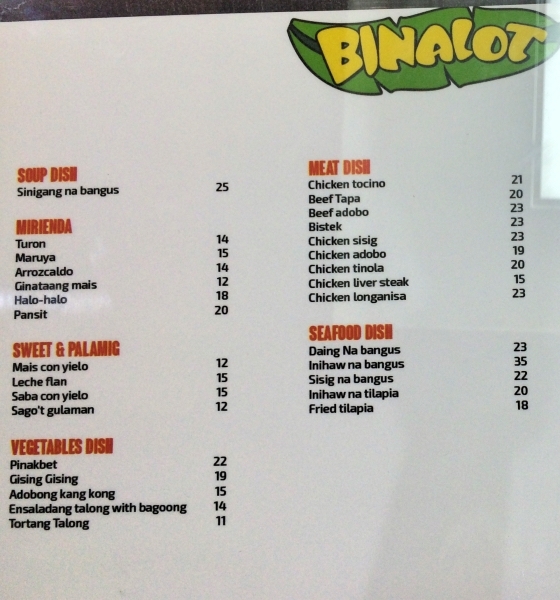 I ordered for Bangus Sisig but again it’s not available. 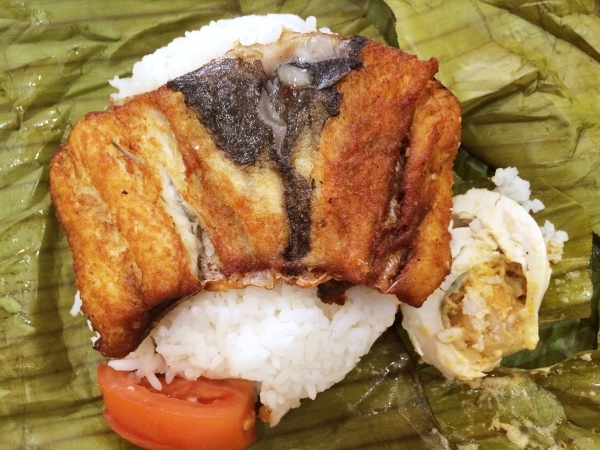 I then just had the boneless Daing na Bangus which was fine. Came with half salted egg and a serving of rice. 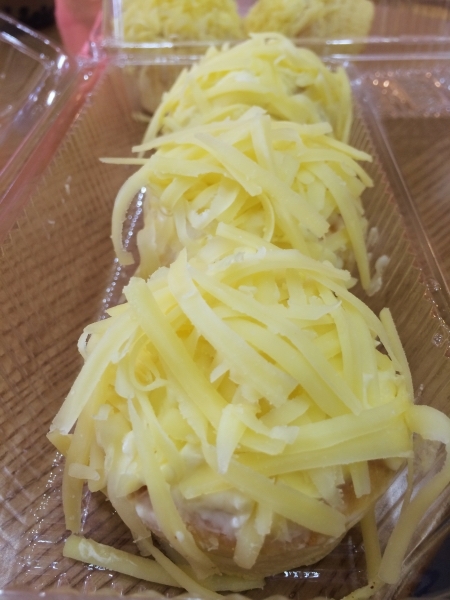 Our preferred Zagu flavours which was Mango and Buko Pandan were not available 🙁 Jholen ended up with Cheese and Cafe Latte. 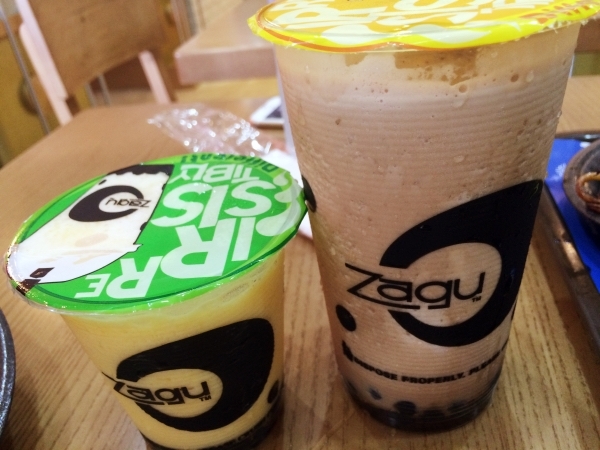 It tastes the same as how I remember it but note that I’m not a Zagu fanatic. 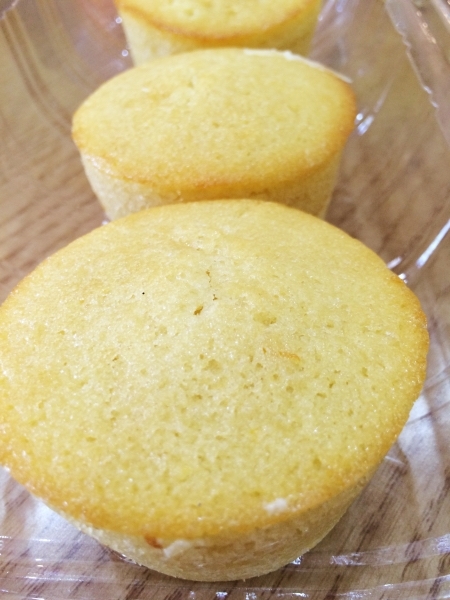 Taste it yourself and let me know. I was not supposed to post the menu but several people were asking so here it is. Sorry for low-quality photos but just zoom in. And do you remember kababayan? This tastes like it. Overall, I enjoyed our dining experience. If there’s one tip I can give you is to try this place during weekday before 6pm. How would that be possible if you’re not staying in the area? I have no idea. 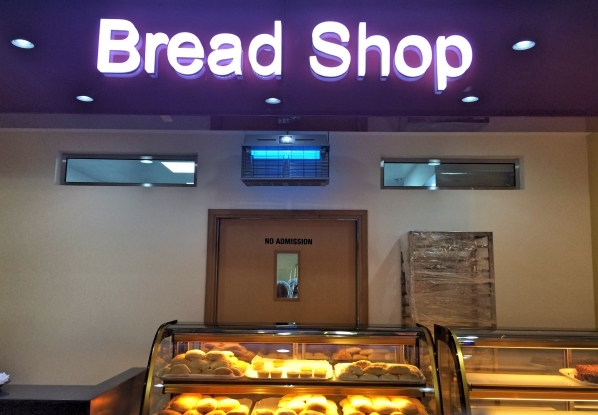 Otherwise, give it a try after a few months once the hype subsided. 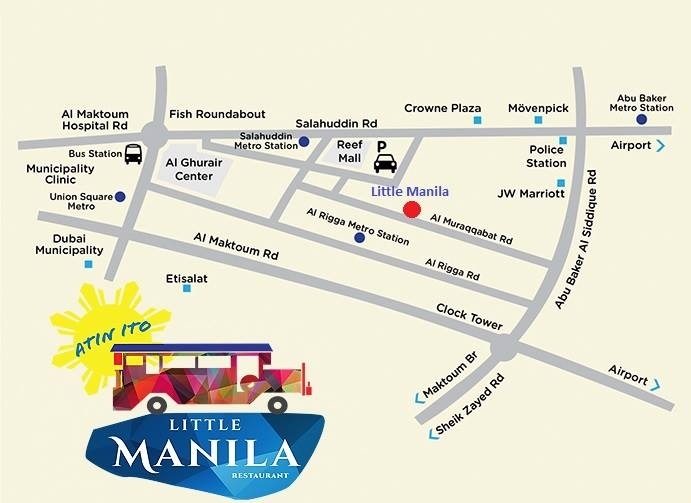 Little Manila is in K6 Building on Muraqabbat street in Deira. See location map below. Visit their Facebook page here: www.facebook.com/LittleManila. 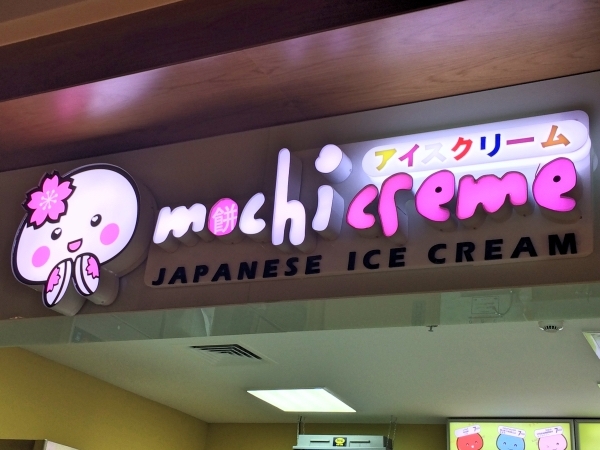 I believe they are open from 9am to 12 midnight everyday except Friday when they open at 2 pm. 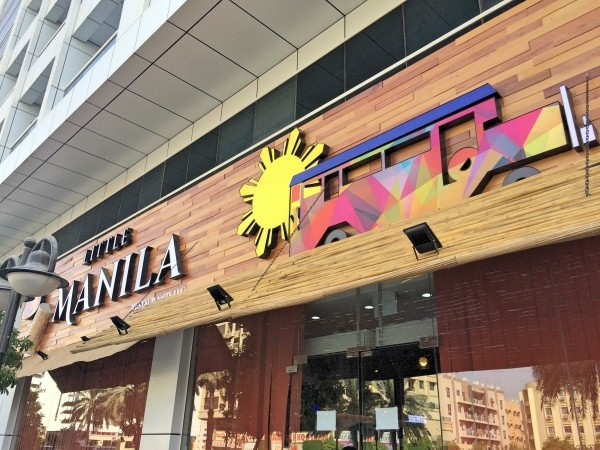 Share your experience and let other Filipino expats hear your review. 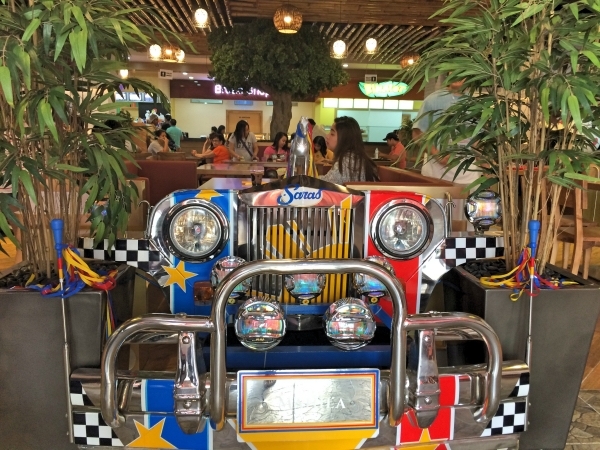 This entry was posted in Food & Dining and tagged Dubai blogger, Dubai dining, filipina expat, filipino expat, Little Manila Dubai, Pinoy Blogger, Pinoy in Dubai.